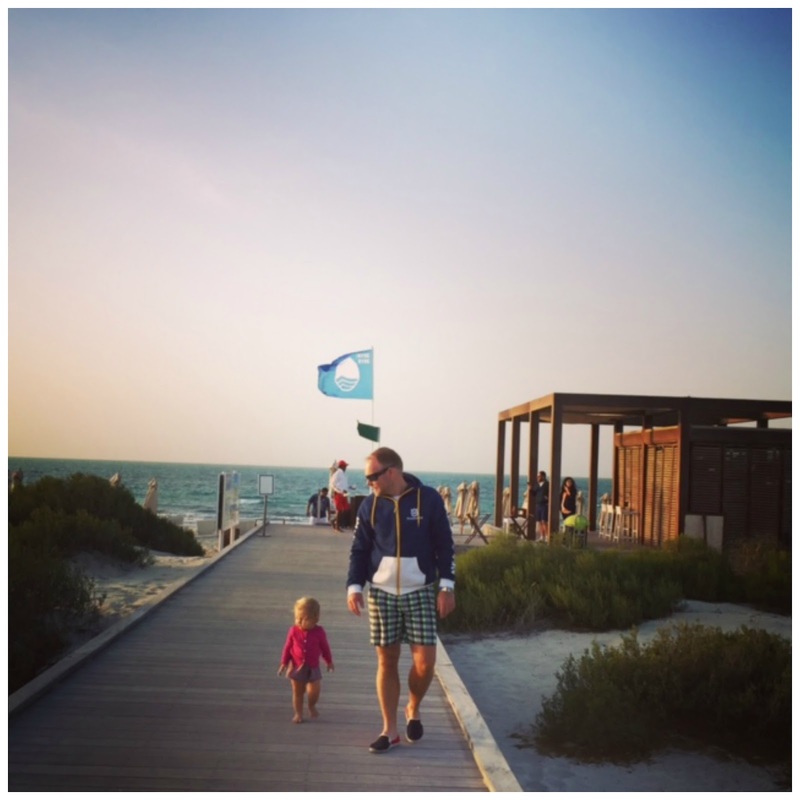 Dubai our Sandbox: Family Friday at Saadiyat Beach Club - stuff we love! 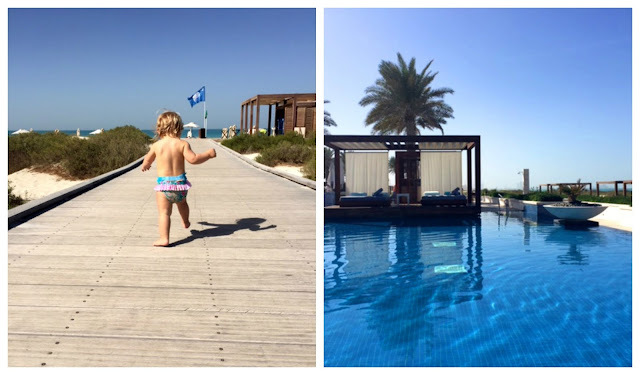 Family Friday at Saadiyat Beach Club - stuff we love! Last Friday was a blissful family day at Saadiyat Beach Club. 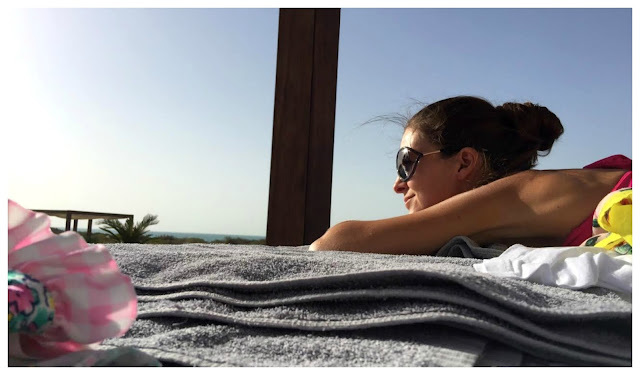 It took us just over one hour from Dubai to reach a little place of natural beauty off the cost of Abu Dhabi. Arabic for "Happiness Island,"Saadiyat was truly our happy spot this weekend. 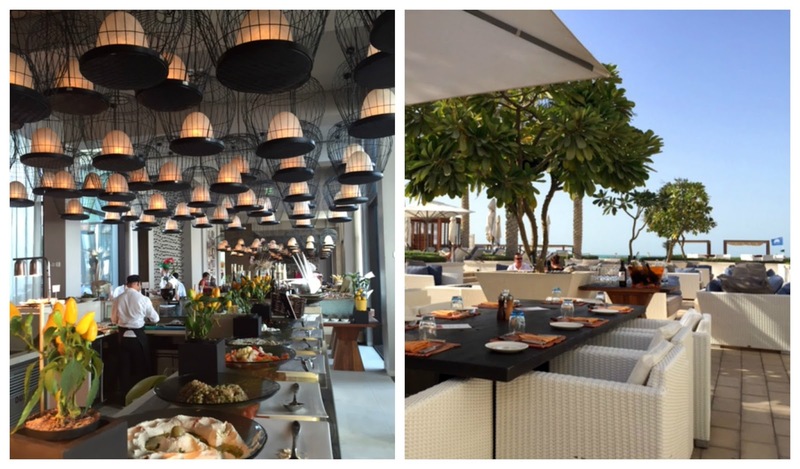 Every Friday, Saadiyat Beach Club set up Safina’s Friday brunch ‘Like No Other’ inspired by specialties from French & Italian Rivieras with a hint of the Levant. 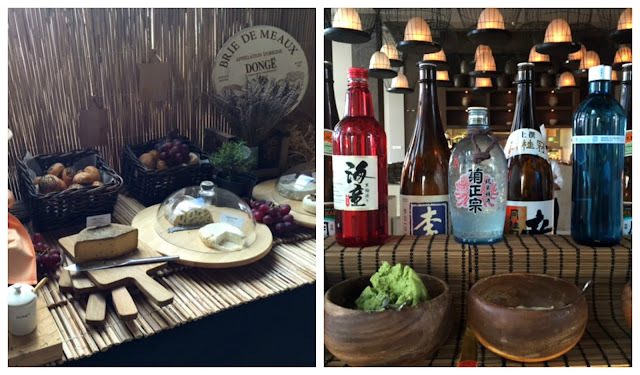 Safina’s “Brunch Like No Other” is every foodie’s paradise. The vibrant open kitchen is the heart of the restaurant, where you can peek at the expert chefs. From, BBQ grills, aromatic curries and live cooking stations through to fabulously fresh seafood and a dessert station to satisfy even the sweetest tooth. We were delighted by the selection of food like Cajun marinade beef striploin, chargrilled cigali lobster and freshly barbequed chicken skewers while sipping on Prosecco and Cuba Libre cocktails. Choose between indoor dining or like us on sun-shaded terrace and take in the stunning views of the pool and crystal blue sea. Girls had a great time! They enjoyed some food from the children buffet like mini hamburgers and also from the live pasta station. 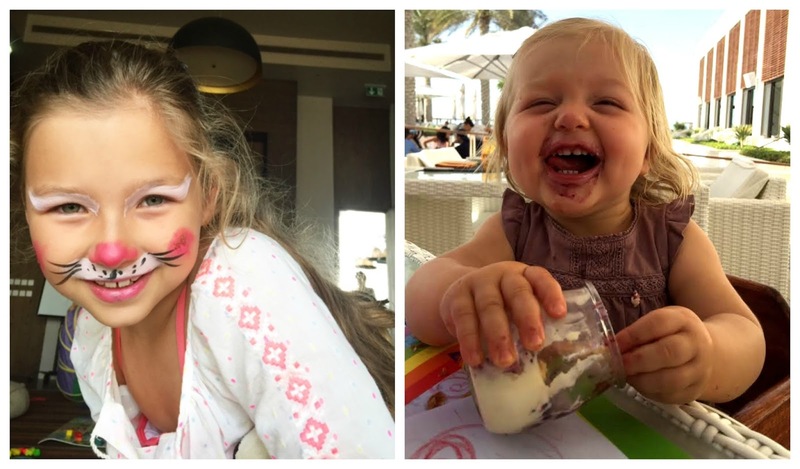 Saadiyat Beach Club will make it easier for parents to enjoy their brunch experience with kids being entertained in the kid's corner just adjacent from Safina. There was not many children, just enough to make it family friendly but not over busy and loud. Luella and Josefin enjoyed the activities like face painting, arts and craft and lego blocks. After lunch, the fun continued for the girls at the actual Kids Club located on the other side of the family pool. A small tent provide just enough entertainment, thanks to the lovely lady on duty who took the girls for some play time while us parents got to relax by the pool. The Kid's Club has a large pool and garden area for activities and games to keep the little ones busy. The rest of the afternoon was spent as a family on the stunning beach - 9km stretch of white sandy beach and crystal blue waters . 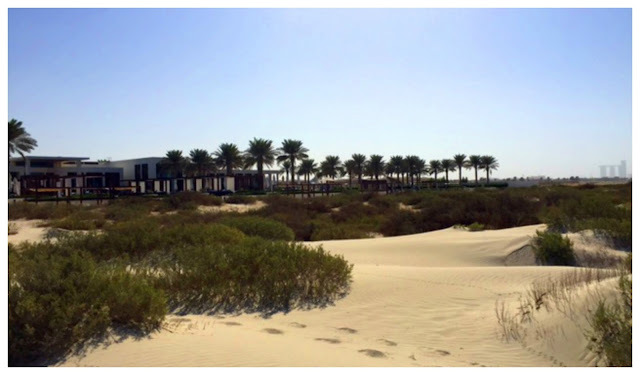 The dunes are protected in respect for the environment and eco-system. 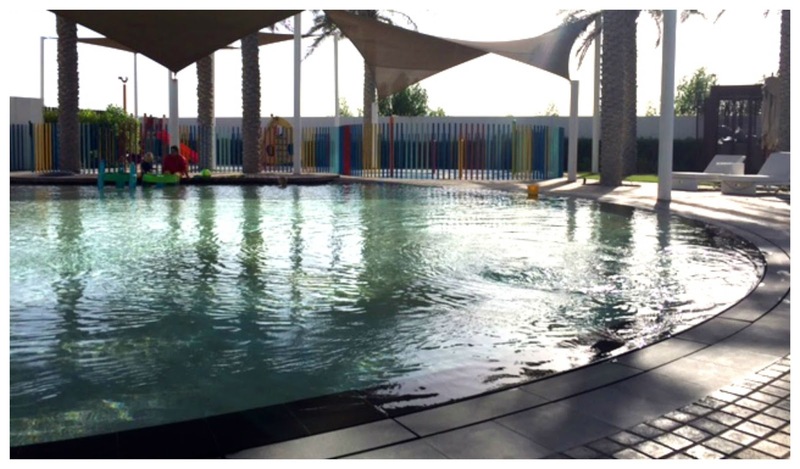 Saadiyat Beach Club has been certified Blue Flag eco label since October 2013. By 3pm, the after brunch lounge party with live DJ is a lovely spot to soak up rest of the day and watch the sunset. It's a very relaxed atmosphere where happy couples, group of friends and family mingles around cocktails, shisha and cool music - wonderful weekend vibes. AED 475 per person / house beverages and French bubbly. Children below the age of 12 eat and play for free. 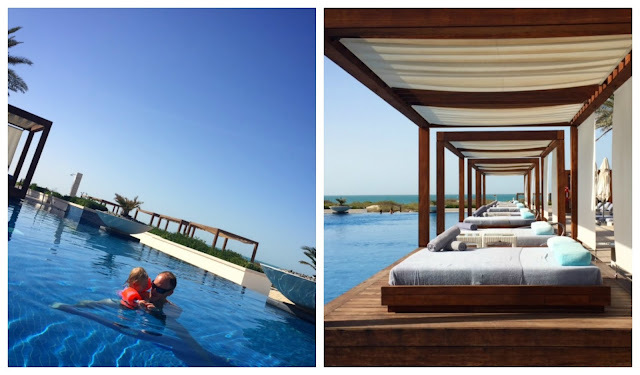 Diners can also enjoy full access to the Saadiyat Beach Club facilities including access to the beach and pool for an additional AED 215 per person (additional to the brunch package). Escape for a day and experience all that Saadiyat Beach Club.